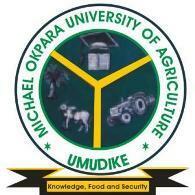 The names of candidates offered admission into the Michael Okpara University of Agriculture, Umudike (MOUAU) postgraduate programmes (full-time and part-time) for the 2018/2019 academic session have been released. See how to check MOUAU postgraduate admission list below. Recommended: MOUAU New Postgraduate Students Acceptance Fee & Registration Procedure for 2018/2019 Academic Session.